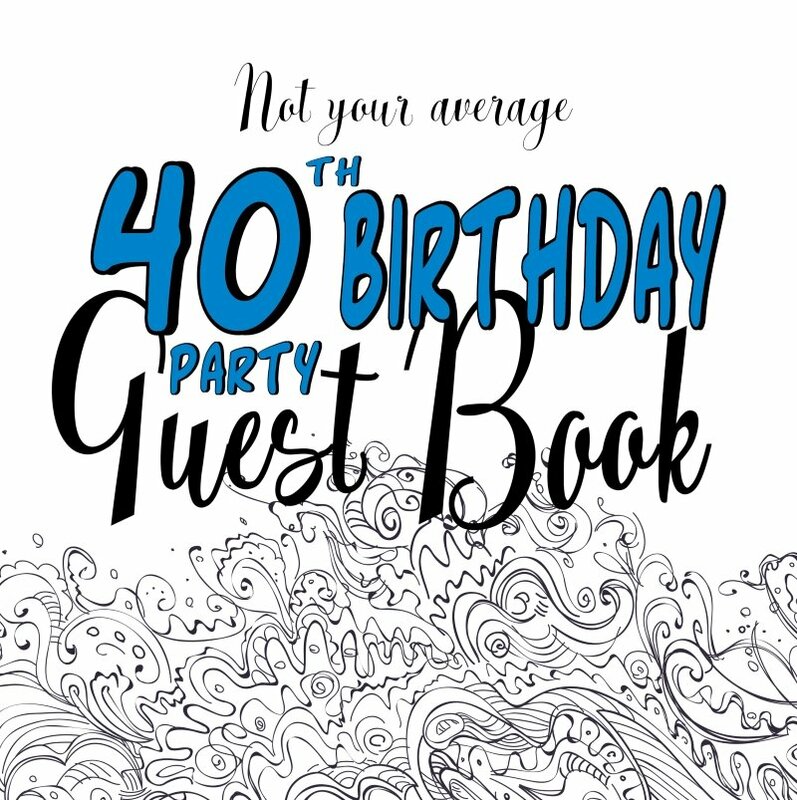 Having a fortieth birthday? 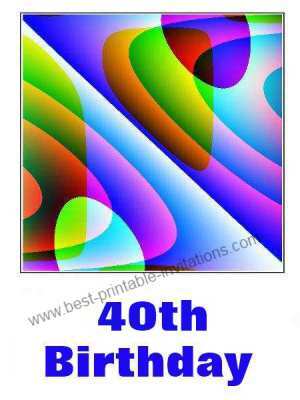 These free printable 40th birthday party invitations would be a great way to invite your guests. Reaching forty is definitely a cause for celebration. But how do you invite people without blowing your entire party budget? These free invites are fun yet stylish. They print onto normal letter or A4 sized paper - so you probably don't even need to go and make a special purchase. And they free up your budget so you can spend more on party fun. 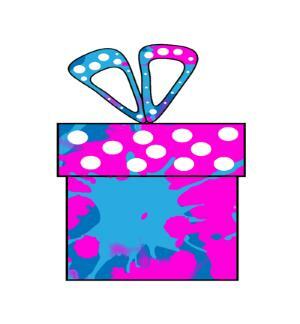 Fun and bright invitation. This is one of my favorite designs! 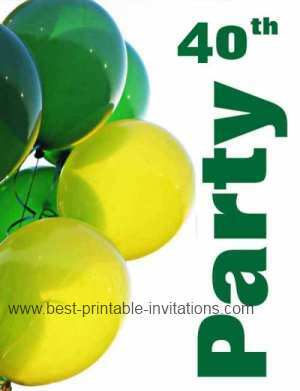 It would work well for lots of different types of fortieth parties. How about some balloons instead! 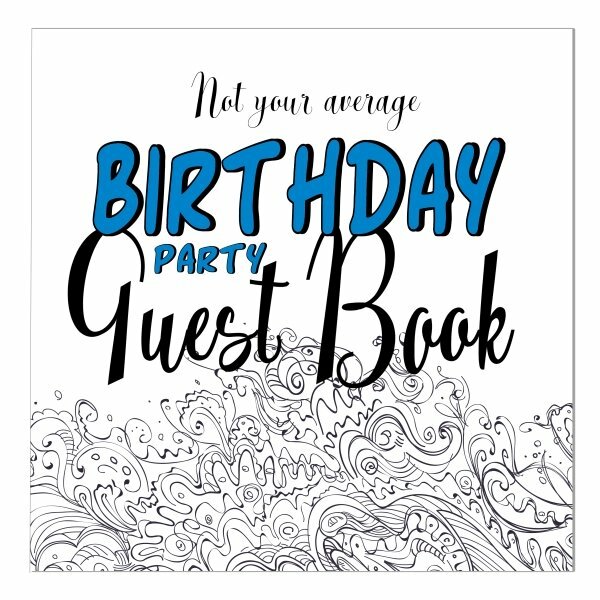 There are so many fun and exciting ways to celebrate a fortieth birthday. Match your party to your personality. Are you a party animal? Or do you prefer a quiet meal with friends? Why not throw a retro party, a 60's disco - or have a ball (literally!). Even camping out in your back yard with friends is a fun way to mark the occasion - only don't forget to cook sausages over an open fire! At FromtheRookery.com I recognize that budgets can be tight, and who really wants to spend lots on invites? Printing free invites is a great way to save money - so you can spend more on the things that really matter (like those sausages!). 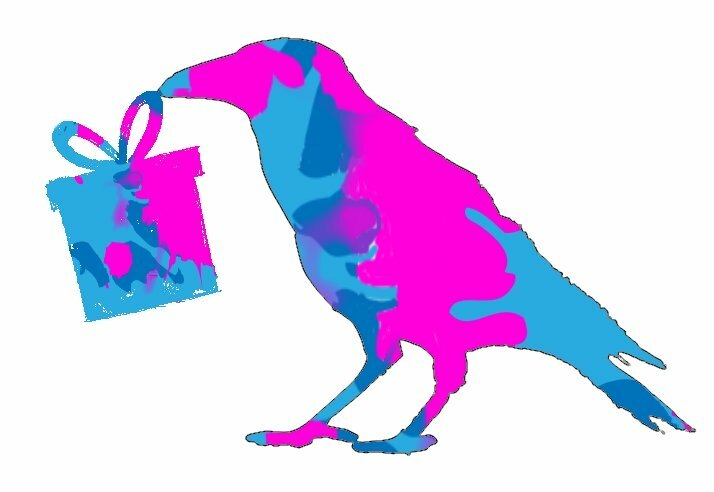 If you want cheap and cheerful, then it takes a matter of moments to print on your normal photocopy paper in your printer. Want something that feels a bit more special? Go and buy a box of crisp white paper - not too heavy or it will be difficult to fold - but with a weighty feel to it. Different paper will give different effects - so do experiment before you decide. 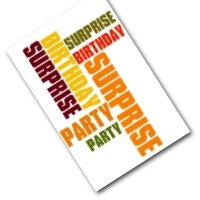 Remember that hosting a birthday party can be stressful - so plan ahead carefully to cover all bases. Then you can just relax and enjoy your big day without any dramas. And a happy 40th from us. Want to see some more ideas? Check out my other invites.